Princess Cruises announced today the newest edition to their Alaska cruisetour program – a treehouse! Built from the partnership between Princess Cruises and Discovery Communications, the treehouse offers guests an unparalleled view of North America’s highest peak – Mt. Denali. Look out amongst the lush trees and snowcapped mountains to have the authentic Alaska experience that keeps travelers coming back for more. Guests can reach the treehouse, located at the Mt. McKinley Princess Wilderness Lodge, by hiking the short hill trail loop. 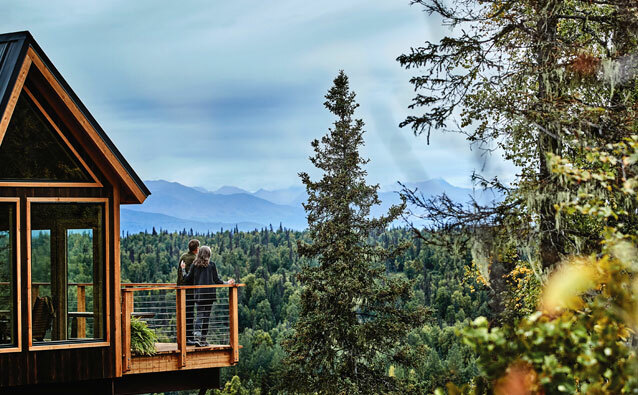 It is the first-ever designed and constructed treehouse in Alaska, and is one of the highest land-based north-facing viewing areas – which will give guests an unblemished, incredible view of the south face of Mt. Denali. Be sure to bring your camera! Alaska’s majestic coastline is perfect for cruising – lined with icy blue glaciers, abundant marine life and charming frontier towns, there’s something amazing waiting around every rugged nook of Alaska’s coast. 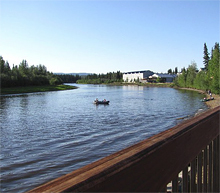 However, even more natural beauty and cultural discovery beckons from within the Alaskan Interior! With so much to see and do both at sea and on land, how does one choose which type of Alaskan vacation to plan? Simple – get both with an Alaska CruiseTour! Cruisetours are convenient, value-packed bundles combining a cruise (typically 7 nights long) with an extended land tour (usually from 2 to 8 nights long). Not only will you save by bundling your cruise with a land package, you’ll also come away with a more in-depth vacation experience. Only Alaskan Cruisetours include overnights in cities like Fairbanks, Talkeetna, Alyeska and more, along with the expansive Denali National Park & Preserve. Alaska Cruisetours are available from late April through September, and your Alaskan travel experience will vary based on when you visit. In April or May, for instance, you are more likely to still find snow on the ground – which could make for really great photography – and less likely to receive rain. June through August feature longer, warmer days and an increased chance of spotting wildlife. In September, temperatures will cool off and you’ll have your best chance to view the Northern Lights. Alaska Cruisetours are an incredible and unique vacation experience created by bundling an Alaska cruise with either a pre- or post-cruise inland tour package. For example, you could spend a few days exploring the rugged Alaskan wilderness via railway or motorcoach before embarking on a scenic 7-night Southbound cruise alongside towering glaciers. Alaska is a huge destination and a cruise is definitely the best way to see the region’s amazing glaciers and coastal cities, but there’s even more waiting to be discovered inland. This is why Alaska Cruisetours have become so popular! 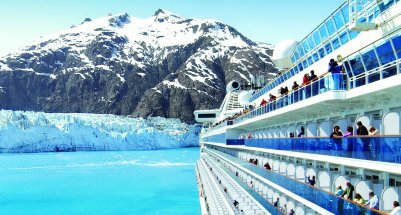 Basically, Alaska Cruisetours build upon the Alaska cruise experience by adding an inland component. You end up with more bang for your buck on a trip that could feature railway travel aboard glass-domed trains, wilderness lodge accommodations and access to the enormous Denali National Park. When comparing vacation values for Alaska, you can’t beat a cruisetour. Never miss a second of Alaska’s scenic landscape as you ride along the famous Alaska Railroad. Comfortable glass-domed railcars carry you over the rivers and through the woods on an adventure you’ll never forget. Enjoy bistro dining on Wilderness Express’ lower level, and never-ending mountain and forest views from up top. Alaska is one of the most unique – and most popular – cruise destinations in the world. Alaska cruises highlight the Last Frontier’s fascinating cultures, rich history, majestic wildlife and natural beauty, including mountains, rivers and, of course, glaciers. There are many factors to consider when planning an Alaskan cruise, and careful consideration of each will ensure a memorable experience. When should you book, and when should you sail? 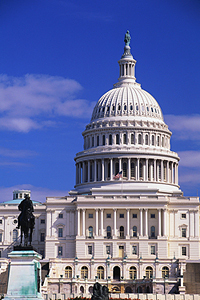 Which ports should you visit, and which sites should be highest on your list of priorities? Should you take a cruise-only vacation, or add an in-depth land tour? We’ll tackle these questions and more in our guide to Alaska cruises. Video courtesy of Holland America Line. To learn more about Holland America’s Alaska CruiseTours, click here. Alaska is known as The Last Frontier and nothing exemplifies that motto more than the Iditarod race, which is in its 40th year. The race pays tribute to the 49th state’s sled dogs, which helped settle the state by transporting mail, groceries and even gold across the state’s vast wilderness. 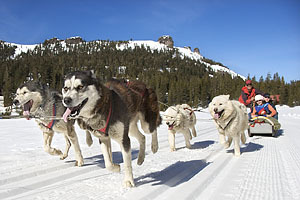 The Iditarod has become one of Alaska’s most popular events and many cruise lines have excursions and cruisetours that put you right in the middle of the action. There are opportunities to try your hand at mushing. You can talk with former Iditarod winners and meet some huskie dogs that have or will participate in the race. Keep reading to find out more about The Iditarod. By Kris Spealman, Senior Cruise Consultant, The Cruise Web. When most people hear “cruisetour,” the first places they think of are Alaska and Europe. 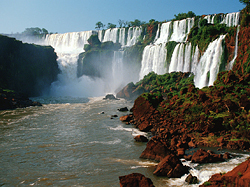 And it’s no surprise that cruisetours here are very popular because Alaska and Europe are beautiful places to visit. However, there are other destinations that deserve the same attention: South America, Antarctica, Asia, Australia/New Zealand or even Canada and historic America. Historic America? Yep, you can see Washington DC, Gettysburg PA, Philadelphia, and New York City coupled with a Canada and New England cruise. Land and sea at a great value, the best of both worlds! Does that sound like fun to you? 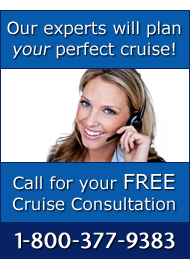 By Jennifer Crivelli, Senior Cruise Consultant, The Cruise Web. Alaska is the largest state in the United States, over twice the size of Texas. Yet the majority of cruises to Alaska only visit the lower sixth of the state, including the major cities along the Inside Passage. To truly experience Alaska, you need to head inland, into the wilderness and away from the coast. The best way to do this is through an Alaska Cruisetour. This year Princess Cruises offers passengers some fresh ways to experience Alaska up close and personal with a variety of new shore excursions for the summer. Among the 20 new options is a unique opportunity to join a scientific expedition while in Juneau to help study climate change and wildlife behavior patterns. 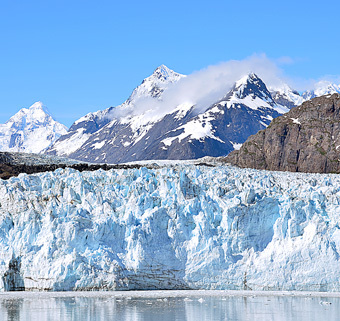 Passengers can also get closer to the dramatic glaciers of Tracy Arm, pilot their own zodiac on a tour of Ketchikan or enjoy the opportunity for animal encounters at a film trainer’s wildlife park. These new options join Princess’ extensive shore excursion program, which currently offers 215 different Alaska tour options for passengers starting in May.